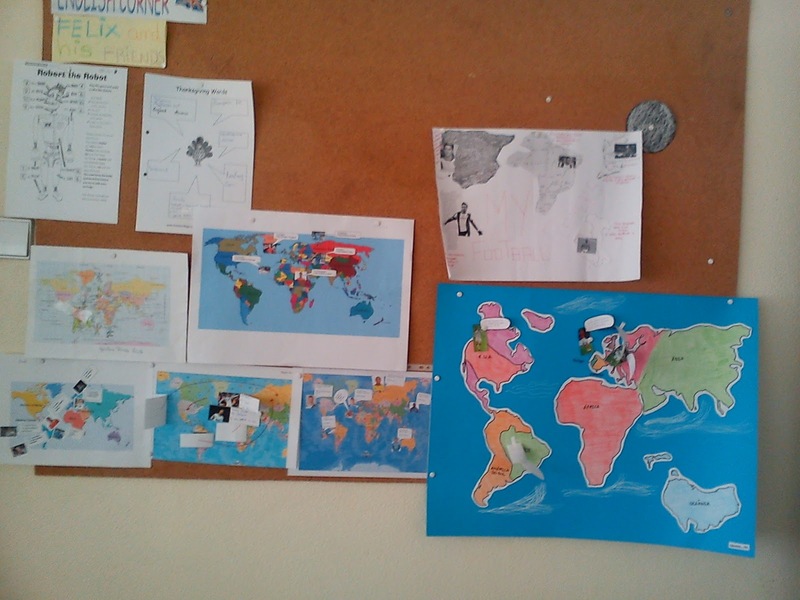 Last week I asked the 4th graders to make a poster with a world map and some football players on the countries where they play. They would also have to make speech bubbles next to the football players and complete the sentences " I'm ___________(nationality), I play football in _________(country).I told them to do this with some help from their family. 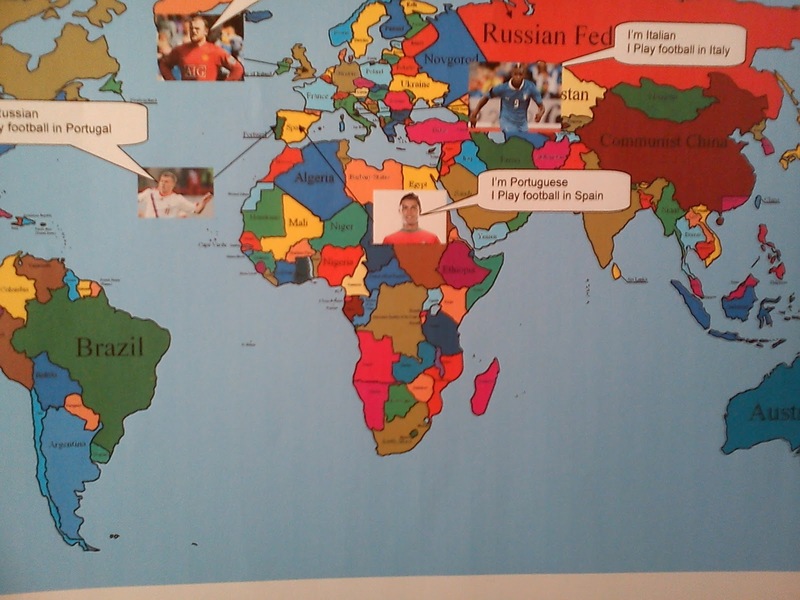 Last Tuesday students presented their map and introduced the football players they chose. 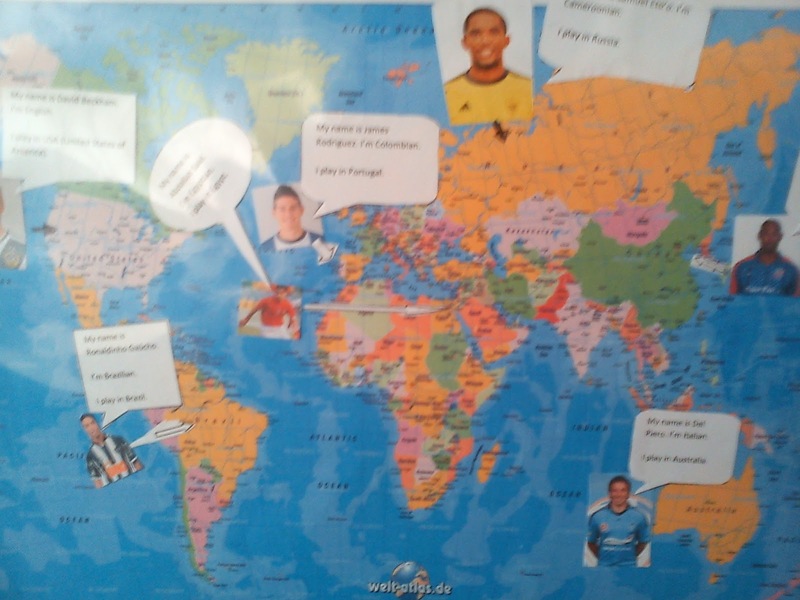 Semana passada pedi aos alunos do 4º ano que fizessem um poster com um mapa e com jogadores de futebol nos países em que estes jogam. Eles tinham de colocar balões de fala junto aos jogadores e completar as frases :" I'm ___________(nationality), I play football in _________(country). Disse aos alunos para fazerem o trabalho com ajuda dos familiares. Na passada terça-feira os alunos apresentaram o mapa e os jogadores que escolheram.